Elizabeth Katherine Garner, 108, resident of Homewood at Martinsburg, formerly of Marklesburg, Huntingdon County, passed away, Sunday afternoon, August 19, 2018 at the home, surrounded by family and friends. She was born in Lansdale, daughter of the late Milton and Florence (Summers) Myers of Marklesburg. On February 11, 1933 she married Clarence E. Garner in Philadelphia and he preceded her in death on August 20, 1985. Surviving are two sons: G. Ronald (wife, Marcia) Garner of Bluffton, SC and J. Michael (wife, Joan) Garner of Lafayette, IN; four grandchildren: Samuel Mollenkof, Suzanne (Mollenkof) Tucker, Jennifer (Garner) McNeely and Thomas Garner; numerous great-grandchildren; and a niece, Donna Morningstar. 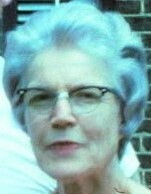 She was preceded in death by a daughter, Marilyn (Garner) Mollenkof who passed away in 1985 and resided in Daytona Beach, FL; and a sister, Della Mae Hartman of Marklesburg. Elizabeth was a graduate of Saxton-Liberty High School and also the Protestant Episcopal Hospital School of Nursing, Philadelphia. She was a longtime active member of St. James Lutheran Church, Huntingdon, for more than 40 years and a former member of Daughters of the American Revolution. 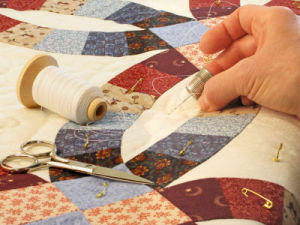 Elizabeth loved sewing, quilting and gardening. A memorial service will be held at 11 am, Tuesday, August 21, 2018 at Bice Memorial Chapel at Homewood at Martinsburg, Rev. Jerry McCuller Jr. officiating. Private inurnment, at the discretion of the family, will be held at Old Stone Church Cemetery, Marklesburg. In lieu of flowers memorial contributions in memory of Elizabeth can be given to St. James Lutheran Church, 525 Mifflin St., Huntingdon, PA 16652.